The summertime beach becomes the family’s playground. “Connecting,” an acrylic by Lesley McCaskill, tells a story of how the beach slows people down. “I enjoy watching the body language of family and friends as they spend time catching up along with the visual play of color and textures,” she said. “All year long, families look forward to their vacation at the beach,” said artist Pat Riordan. 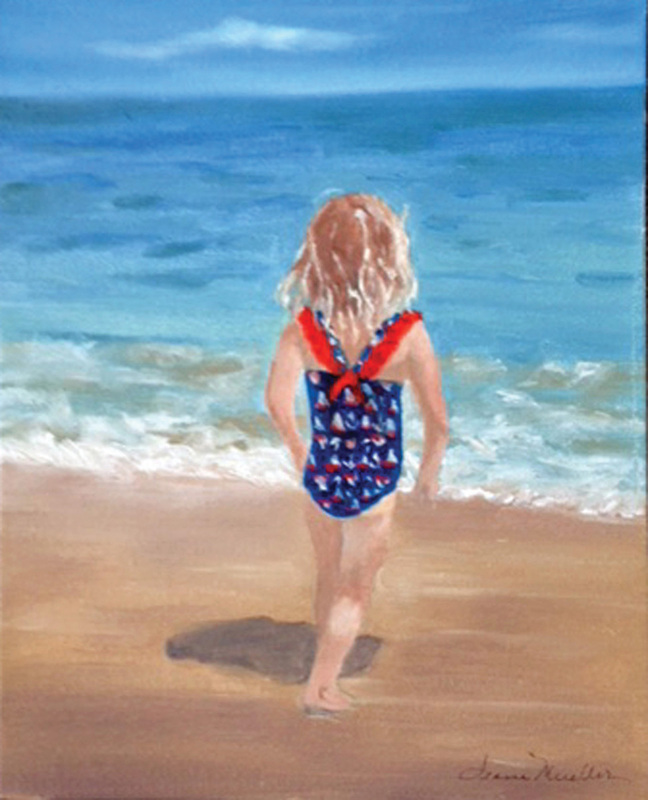 “It’s a great time for families to be together.” Her “On Vacation,” an oil, features family life on the Rehoboth beach. “Beach Odyssey” runs through July 31, and, in addition, the gallery’s Artisan Room features exciting textiles, hand-blown glass, pottery, glass jewelry and wood pieces by local artists. Gallery One is open daily from 10 a.m. to 5 p.m., and is always staffed by one of the artists. For more information, visit Gallery One’s website at www.GalleryOneDe.com, call (302) 537-5055 or visit the gallery at 32 Atlantic Avenue (Route 26) in Ocean View.